A first-class riverboat cruise lasting for 10 days costs $2249 (departure on Nov 6). You’ll be visiting Lima , Iquitos and experience the Amazon wildlife and culture. The price includes: 5 nights aboard Amazon Explorer, one day & one night excursion, Canopy walk excursion, all meals on board, launches and land excursions, arrival transfer and breakfast daily in Lima and Iquitos. If you prefer to plant your feet firmly on the ground, there’s a lovely 15 days tour which costs $1249 (departure on Dec 12). 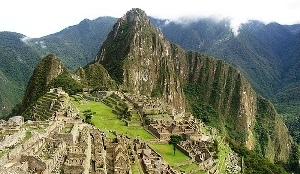 The highlights include: Lima, Nazca Lines , Arequipa, Cuzco , Inca Trail and Machu Picchu . You can choose an optional flight over the Nazca Lines, climb the volcano at Arequipa and of course, hike on the famous Inca Trail. The price includes: accommodation, 4-day Inca Trail hike with local guide (all meals included), cook and porters and guided tour of Machu Picchu. While you don’t need to train for trekking the Inca Trail, it’s advisable to have at least some basic fitness skills. Make sure to wear comfortable hiking gear. If you don’t have that many days off or the prices seem a bit too high, there are other choices to spend a lovely vacation. A 5 Night Western Caribbean Cruise starts at $199 per person (interior cabin). You’ll be departing Miami on Dec 13 and visit Georgetown, Grand Cayman, Cayman Islands and Cozumel. Make sure to book a flight to Miami as well and try to get there at least a day or two before the cruise ship departs. Spending an active holiday is a great idea, whether you want to stay fit or love to explore the nature in an interesting way. Pack your backpack and boots¦and then book an adventure holiday .